70% off a Chanel dress. Wouldn’t that be nice! 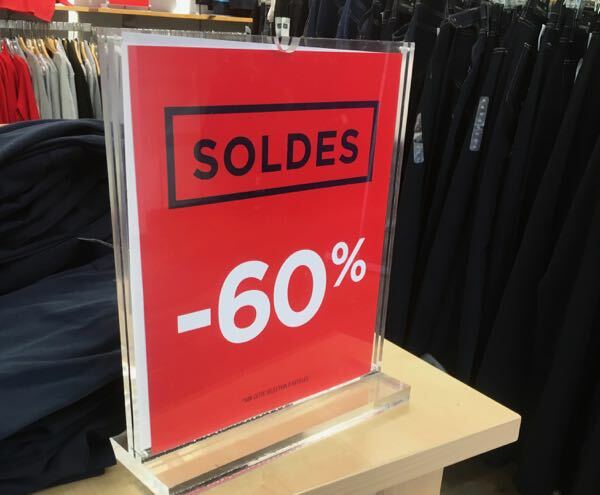 Who doesn’t like a sale, particularly when it’s Les Soldes, a promotional period in France where shoppers go crazy over big discounts. Next month this craziness begins! Dates depend on the region. and the summer dates are: June 26-August 6, 2019. 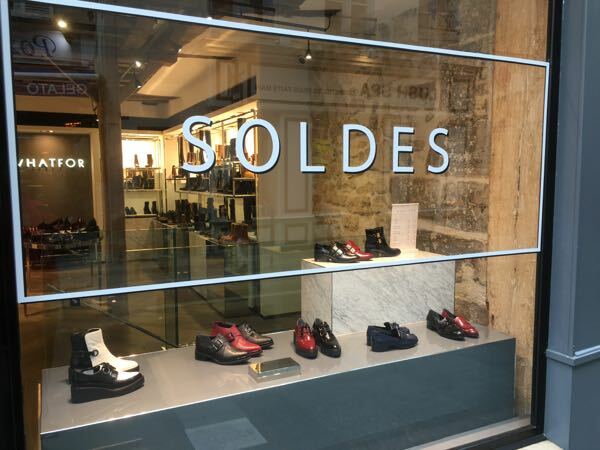 You’ll see “Promotion” or “Soldes” signs with prices slashed quite a bit not only in the small stores, but also in the department stores such as Galeries Lafayette. Reductions can range from 30-50% and even as high as 70% and these discounts may increase as time goes on. Their goal is to get rid of old stock. While it’s not like Boxing Day in Canada and the United Kingdom, or Black Friday in the United States where people line up the night before to get in first, it is important to get there early right when the store opens. Avoid the lunch-hour when many office workers zip out to find a deal. When I was there last January some stores got extremely crowded so it’s wise not to overdress. Also be prepared to be assertive. Items that have the highest mark ups tend to have the biggest discounts. Boutiques, supermarkets, specialty stores, and department stores all take part. 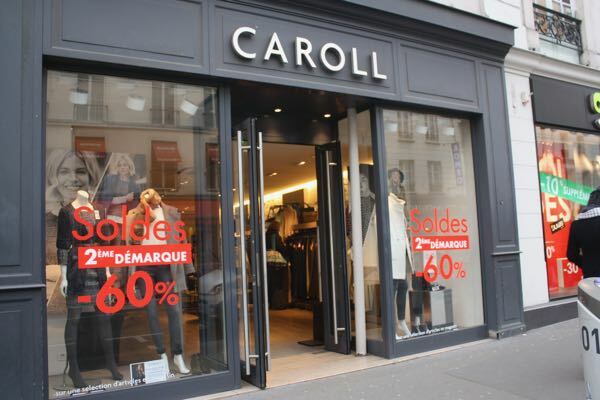 Stores in tourist areas, particularly in Paris can be open on Sundays in Paris (ie. Rue de Rivoli), so you might have a chance on doing some shopping. Notify your credit card company before you leave for France that you might be using your card. This will prevent holds or difficulties using your card when you are in France. Not crazy about going to France in January? I’ve been to Paris twice in January and the weather was great. Not too cold. No snow. Sunshine! It’s worth trying it out. 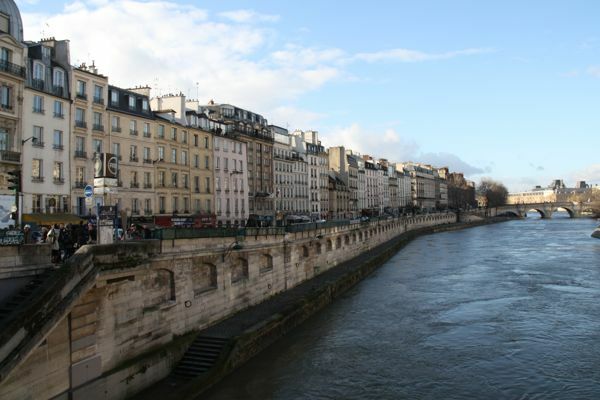 Check out my post about some of the highlight during this time period: Visiting Paris in December and January. The sales in France sound like fun. I can’t believe they are state regulated, and I thought Australia was a nanny-state! France is pretty regulated over all. Nice to see sales twice a year, though. And I’d love to meet up with you there….or in NY! I really enjoyed my visit to Galeries Lafayette when I was there but couldn’t get anything in the sales. It’s handy to know when the sales take place. Yes, I think it’s really the smaller shops where you find the deals. Can’t remember when I last bought something at Galeries Lafayette! Thanks for sharing the shopping tips Jan. We’re not huge fans of shopping but we do like saving money when we do. I don’t do a lot of shopping, but when I do, I certainly would like to get a deal! I’m not a shopper as such, but I do love a good sale. . .brings out the hunter in me, I guess! This is great information as would never have thought about specific times for great sales. . .and will keep this mind should we find ourselves planning any trips that might just coincide with the sales. I don’t make a special trip to France for these sales, but if I happen to be in France during the two time periods I’ll certainly look for some deals. I am leaving for Paris on the Feb. 18th and arriving on the 19th. I have one day to find some sales! Thanks for posting the info.